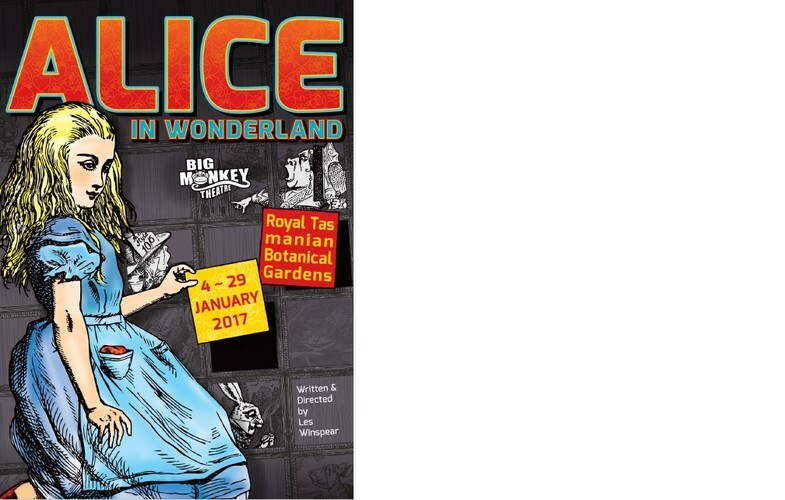 January is the time for entertainment in the gardens and this year it’s Lewis Carroll’s colourful classic Alice in Wonderland. This timeless tale adapted by writer/ director Les Winspear, is brought to life through Big Monkey’s traditional pantomime style with lots of song, dance and laughter in the wonderland setting of the Royal Tasmanian Botanical Gardens. Join Alice as the White Rabbit leads her into a magical world of mayhem and nonsense meeting all the favourite characters including the Cheshire Cat, Caterpillar, the Mad Hatter and the Queen of Hearts. And, as the story goes, things come to a head – Alice’s head to be precise. The cast includes some of Hobart’s top performers – Ellen Roe, Claire Dawson, Emesha Rudolf; Craig Irons and Andrew Casey. Gorgeous new costumes and a story-book set, as well as superb performances contribute to a perfect family outing for a summer’s day. So bring some children, bring a picnic and enjoy the show. Alice in Wonderland plays Wednesday to Sunday 4-29 January 2017. Tickets are available from the Botanical Shop, Theatre Royal, Centertainment or at the Main Gate 30 minutes prior to each performance.